Marek Hamsik's protracted move to Chinese Super League side Dalian Yifang is set to be officially confirmed next week. The Slovakian international's move to China had earlier reportedly been delayed due to issues regarding 'payment methods' over his proposed €20m transfer. 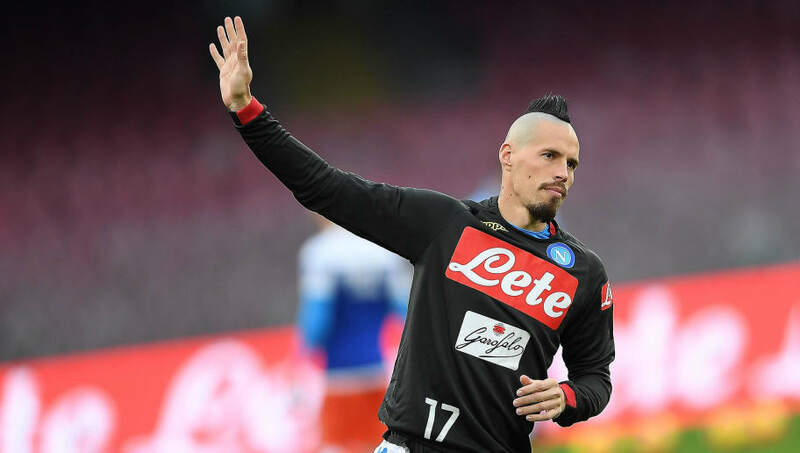 Now, according to Italian based Sky journalist ​Carlo Alvino, Hamsik is currently completing medical check-ups in Madrid before his imminent move to Dalian is confirmed either on Monday or Tuesday of next week. Despite the January transfer window in Europe ending last week, the Chinese Super League's window remains open until 28 February, with there now being expectation on all sides that a deal will be completed for the 31-year-old sooner rather than later. Hamsik joined ​Napoli from fellow Italian side Brescia in 2007, and has enjoyed more than a decade of service for the Neopolitans. Marek Hamsik is on the verge of a move from Napoli to Dalian Yifang for €18m. The Slovakian has spent twelve seasons at the San Paolo Stadium, and leaves a lasting legacy in Naples. Last December, the midfielder became the club's all-time record goal-scorer when he overtook Argentina legend Diego Maradona's record of 115 strikes, whilst he also overhauled club icon Giuseppe Bruscolotti's mark of 511 appearances in November. Under Carlo Ancelotti this season, Hamsik has featured in 13 ​Serie A games, whilst his only goal this campaign came in the Champions League group stages.